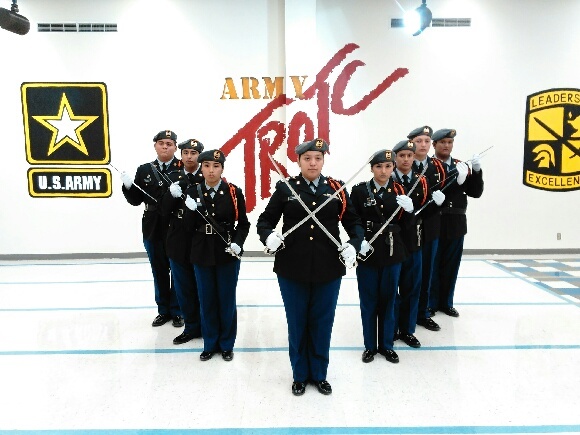 The Honor guard provides ceremonial honors for visiting dignitaries, formal ceremonies, and major school events such as homecoming and the Bowie Fiesta. Members become proficient in manual of the saber which has historical roots in the revolutionary war. The Bowie Bear Honor Guard has eight members.